Benjamin Millepied’s ballet This Part in Darkness premiered this weekend in Philadelphia. The Bordeaux native, choreographer and dancer of Black Swan fame, created the ballet as a thank-you to the Pennsylvania Ballet for loaning him 14 dancers for the Oscar-winning film. The ballet’s opening was scheduled to coincide with the Philadelphia International Festival of the Arts (PIFA), which runs until May 1 and is inspired by all things French. The ballet was exciting and dramatically different. It began with live video of two dancers being in the lobby while they were projected on a huge screen inside the Merriam Theater. The ballet continued with dancers on-stage while they were simultaneously filmed by three different cameras and projected, sometimes in a split screen. The effects were clever – sometimes a dancer who was on the left-hand side of the stage was projected on the right-hand side of the screen, sometimes the camera showed the dancers from above while the audience was watching them face on. The cameraman – a member of the company – was an integral part of the ballet as he moved among the dancers. The effect was layered and multidimensional. Pulitzer Prize-winning composer David Lang composed the music, “Pierced,” which created a tense, moving force propelling the dancers toward a driving crescendo of a conclusion. 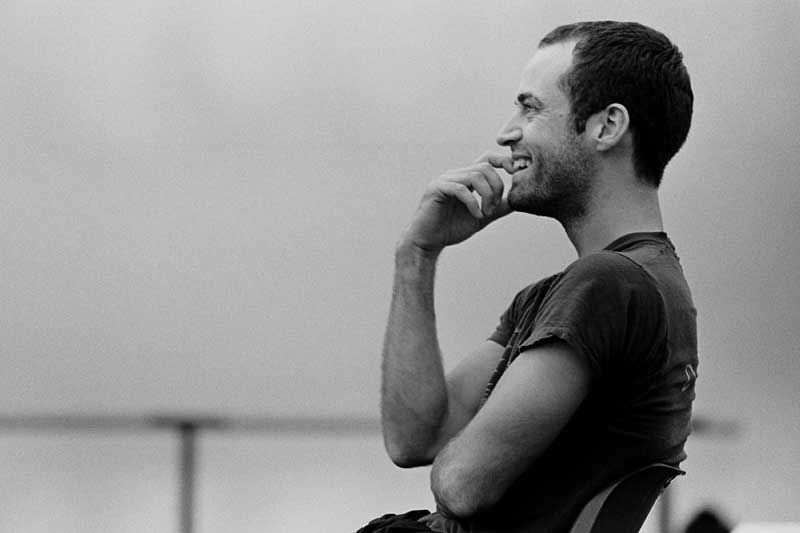 Clearly, an Oscar winning film was a productive training ground for Millepied. The audience response was enthusiastic. Personally, I loved it, even though I consider myself more of a tutu fan who tends toward the traditional repertoire. Millepied is a great name for a dancer; it means “one thousand feet.” There were only 32 in this ballet, however. Today’s expression faire des pieds et des mains (fair day peeay A day mah) literally means “to make feet and hands” but literally means “to move heaven and earth.” I have no idea what the connection between these ideas is, but I’d love to hear if someone else knows. I assume it’s related to putting one’s all into something, including all possible appendages. Evidently, Millepied put his all into this innovative ballet. This entry was posted in Ballet, People and tagged Benjamin Millepied, Black Swan, Faire des pieds et des mains, Merriam Theatre, Pennsylvania Ballet, Philadelphia International Festival of the Arts, Pierced, PIFA, This Part in Darkness. Bookmark the permalink.